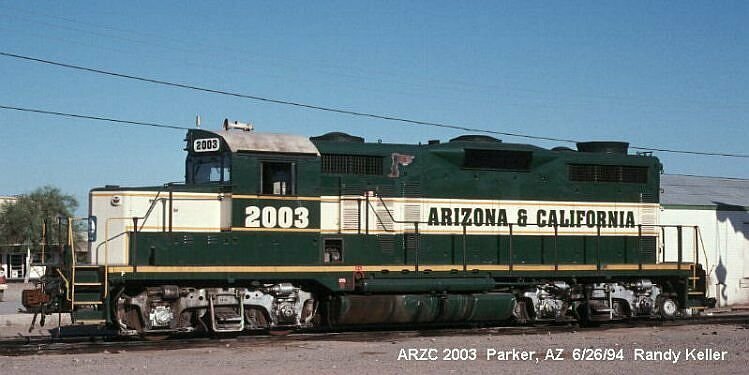 I'm getting ready to start a project to build two of Arizona & California RR's GP20's. From what I have found, these started as UP units and were sold a couple time before making their way to ARZC. Somewhere along the line, the turbos were removed and a large filter box was placed on the top of the hood. I can't find any info on the GP20's and the deturbo process in general, just photos of the actual units. I can see a general shape of the filter box in the photos, but unfortunately, no shots of the top. I'm looking for info and pictures of those boxes and any other info or details that would show these as rebuilt units without the turbo. I knew 2003 didn't have the box. Your overhead shot of SECX 2005 shows that I need to add exhaust stacks to the LifeLike units, that's very helpful to know. 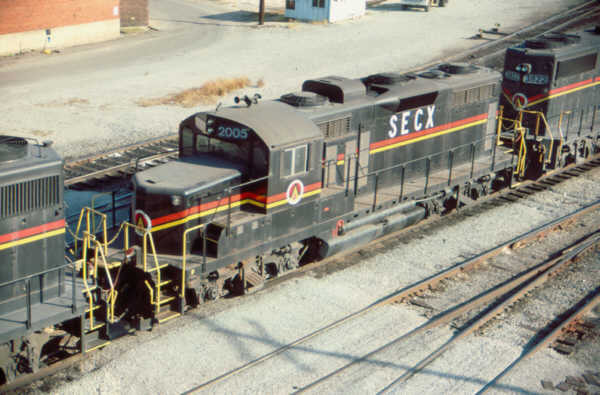 I also randomly Google Image searched for SECX 2005 and came across a geocities website of a gentleman that models SECX locomotives. His models show the filter box and two exhaust stacks around the dynamics, so this is how I'll build mine. 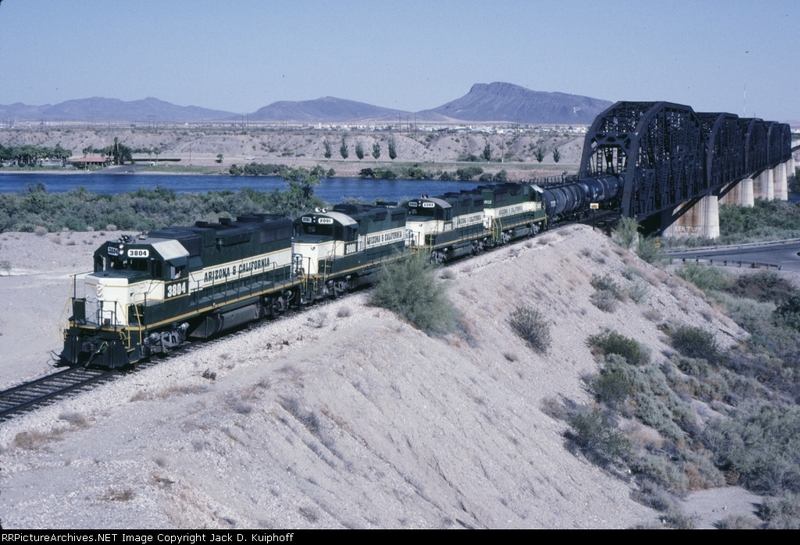 Doug.. all of them have the twin exhaust stacks around the dynamic fan (including 2003) So if you scratch build the box over the old exhaust fan and add a GP9 Dynamic brake grid (or add the exhaust stacks to the GP20 ) you should be pretty close.